08589 shunts a rake of engineers vehicles into the down PW sidings near Highworth Junction at Swindon on 26 October 1992. 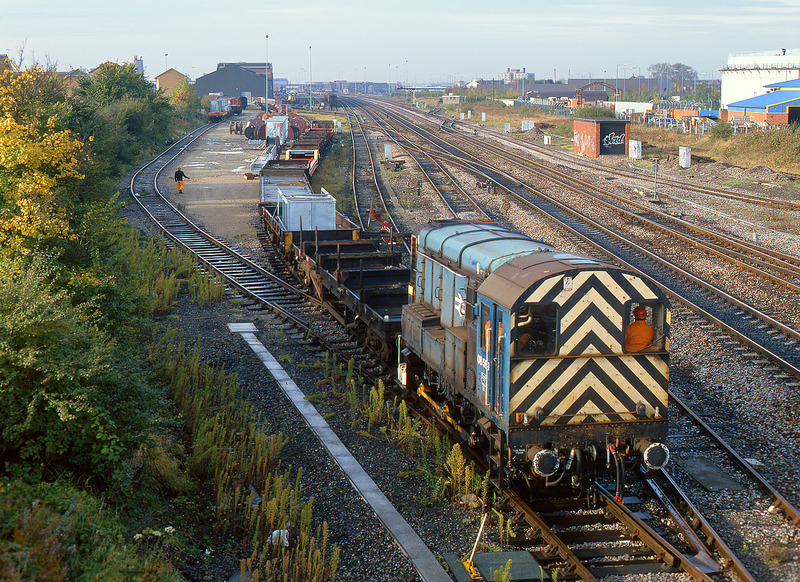 This could be one of the last photos taken of this loco in operation, as it was withdrawn less than a month later and cut up Gwent Demolition at Margam in 1994, ironically not that far from its home depot of Cardiff Canton. Quite why it ended up at Swindon for its last weeks in traffic is a mystery.